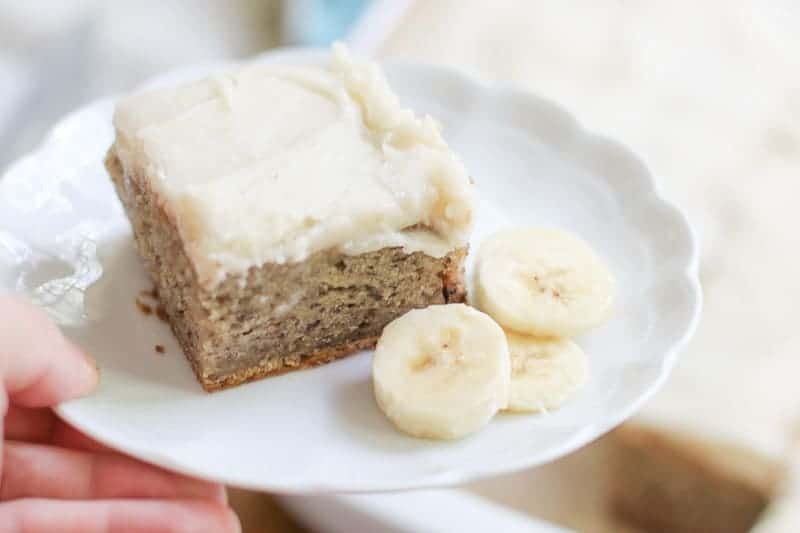 This banana bread bars with brown butter frosting recipe is so incredible you will want to eat the whole pan. It is moist and full of flavor. These bars are absolutely delicious! You will love them! 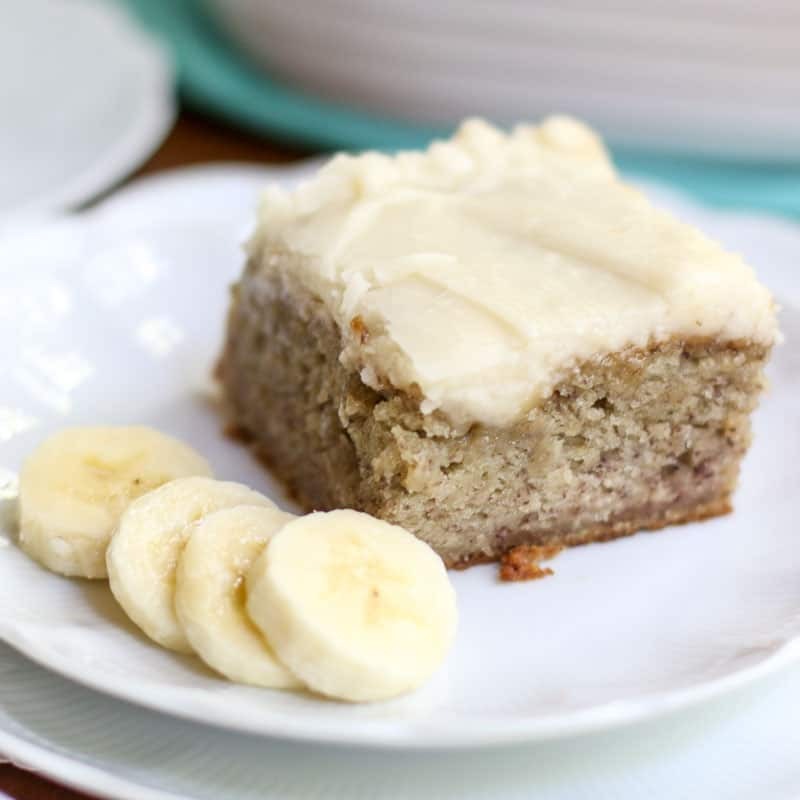 This Banana Bread Bars with Brown Butter Frosting Recipe is so incredible you will want to eat the whole pan. 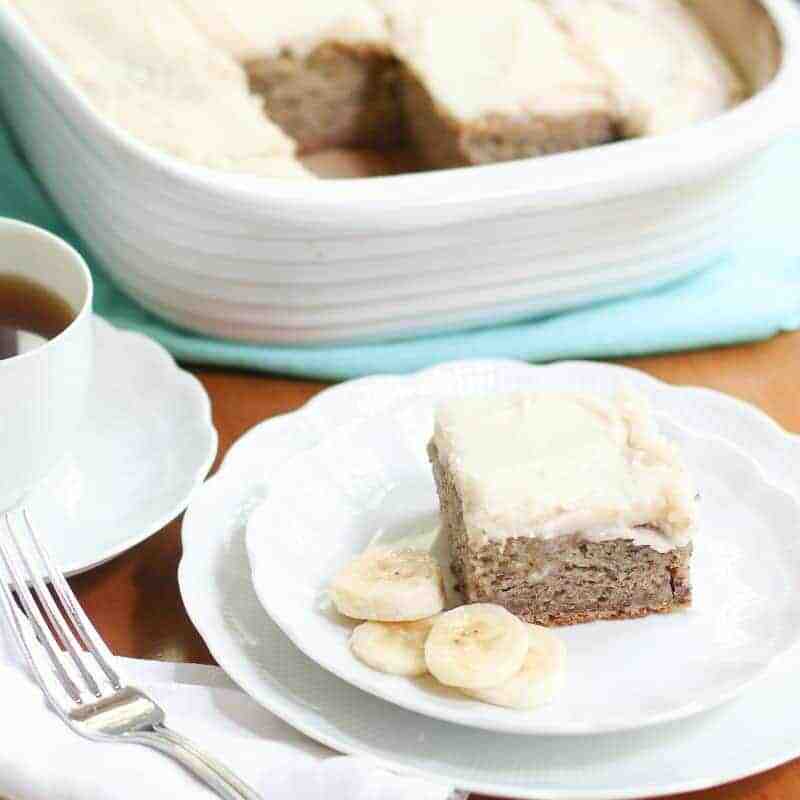 The banana bread bars are moist and full of flavor and the brown butter frosting is absolutely delicious. Your family and friends will love you for baking this tasty dessert! I wish I could take credit for this banana bread bars with brown butter frosting recipe, but I can’t. It is absolutely BRILLIANT. When Pinterest first came out, I found this recipe from Life’s Simple Measures. This was one of the very first recipes I tried from Pinterest and I LOVED it. Life’s Simple Measures is a great Blog Site with lots of good looking recipes such as Blueberry Pie Bars and Butterscotch N Cream Muffins. You should check it out. But let me tell you about her Banana Bread Bars…. OMG!!!! I really can’t help myself from eating bar after bar when I make a batch. I purposely make these when I am bringing a dessert for a big group. That way I can only steal one or two. My friends are always asking for the recipe so I thought I better get this recipe up to share. Maybe one of them will make a batch for me? Yes? I hope you love these banana bread bars with brown butter frosting as much as I do. 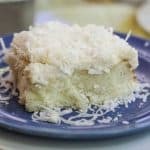 If you like this recipe, check out: The Best Coconut Cream Poke Cake, Easy Chocolate Cherry Sheet Cake, and Chocolate Eclair Cake. Flour and grease a 9x13 baking dish. In a large bowl, beat together sugar, sour cream, eggs, and butter until creamy. Blend in bananas and vanilla. Add flour, baking soda, and salt. Mix until completely blended. In the last 10 minutes of baking, make the frosting. Heat butter in a medium sauce pan over medium heat until boiling. Watch carefully and stir the butter to prevent it from scorching. Once the butter turns a toasty brown color, remove from heat immediately. Add powdered sugar, vanilla extract, and milk. Mix until smooth. It should be thicker than a glaze but a little thinner than a frosting. Spread on Banana Bread while the bread is still warm. Allow to completely cool before serving. Cut into bars. Thank you for sharing! I am so glad you liked them. The brown butter banana bars are one of my favorite desserts! I made this recipe today and it is awesome! Thank you so much. These look great! I love anything that has browned butter in it. It adds to the flavor in such a spectacular way! 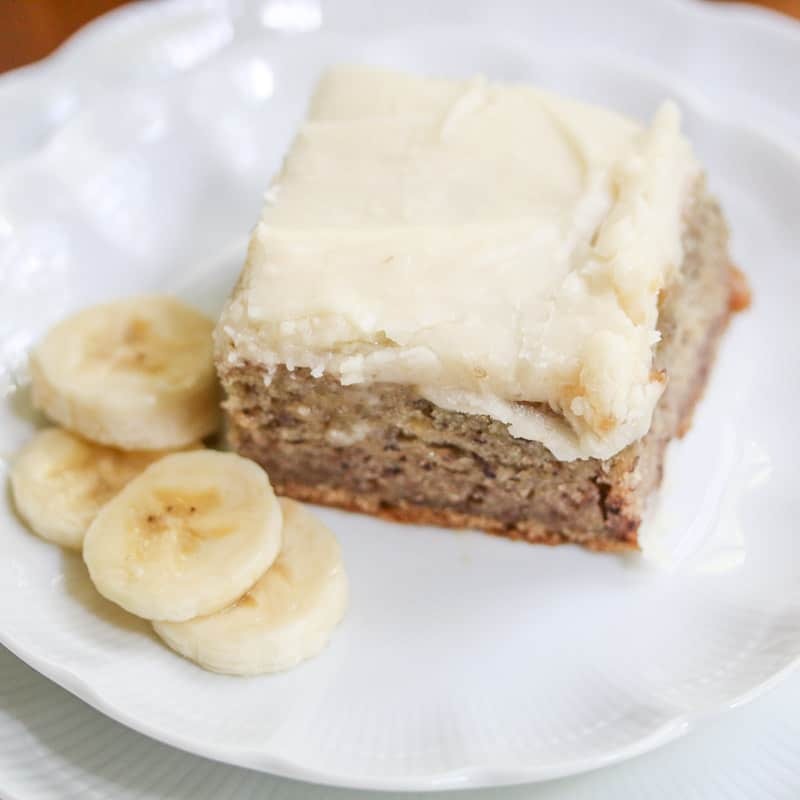 We love banana bread in our household, so your banana bread bars with a brown butter frosting sound heavenly! Cannot wait to try them! These sound GREAT, Katie. My grandmother passed down a cookie with a browned butter icing. It’s one of my favorite recipes. I’m sure this will be a favorite of my kids, too. Thank you for sharing!